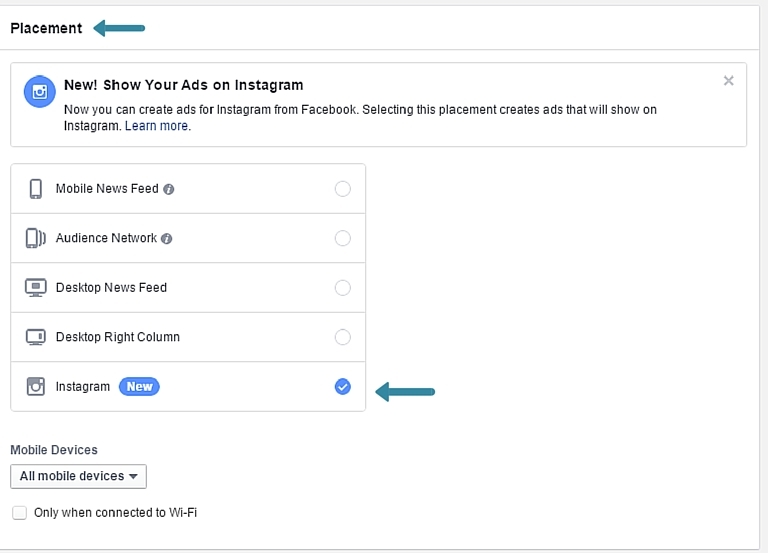 Before we dive into the Power Editor and creating a gorgeous Instagram ad, first we need to connect your Facebook page to your Instagram account. This is different than connecting Instagram to the page, which allows Instagram to share photos onto your Facebook page. 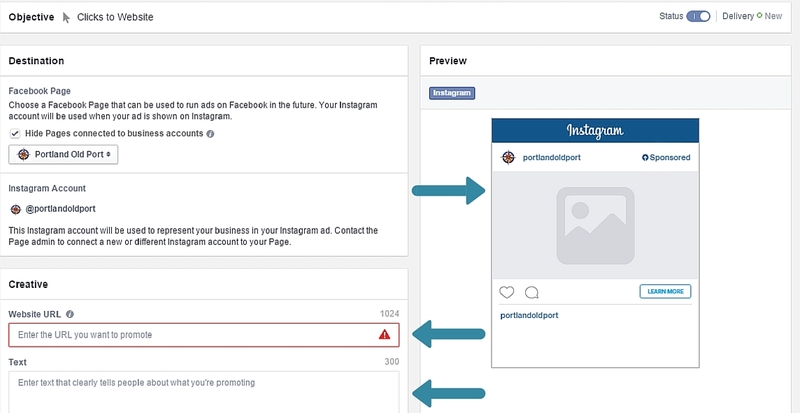 What I’m talking about will allow the Power Editor to show the connection between your Facebook page and Instagram account. First, go to your Facebook page on your browser of choice (my favorite is Chrome) and click settings. Next, you’ll see a new menu option to your left called Instagram Adverts, click that. You’ll see a blue informational window that tells you that not everyone can do this at the moment. Throughout the month of October Facebook gradually rolling out Instagram ads to the general public. If you are one of the lucky ones, click Add an Account and a pop-up will appear with two options, 1. log in to an existing account, 2. create an Instagram account. I already had an Instagram account ready to log into so I connected that. OK! So now we are ready to dive into the Power Editor! If you’ve been running Facebook ads in the past you know how robust and awesome the Power Editor tool can be. 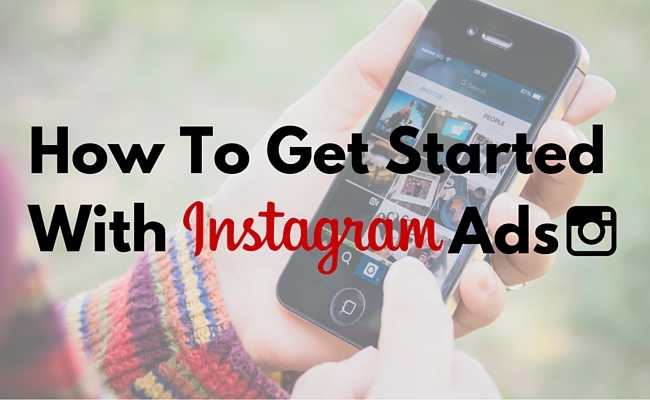 Once in Power Editor, download the campaign you want to create your Instagram ad through. Once you’ve done that, click Create Campaign. 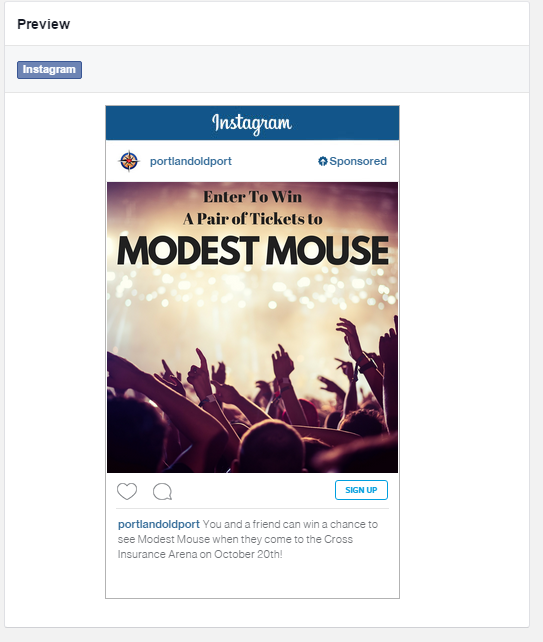 To create an Instagram ad you have to select Auction in Buying Type and Clicks to Website in Objective. You’ll see the NEW sticker next to “Create ads for Instagram.” That means you’re in the right place and doing the right thing. So now create an Ad Set using your new campaign. 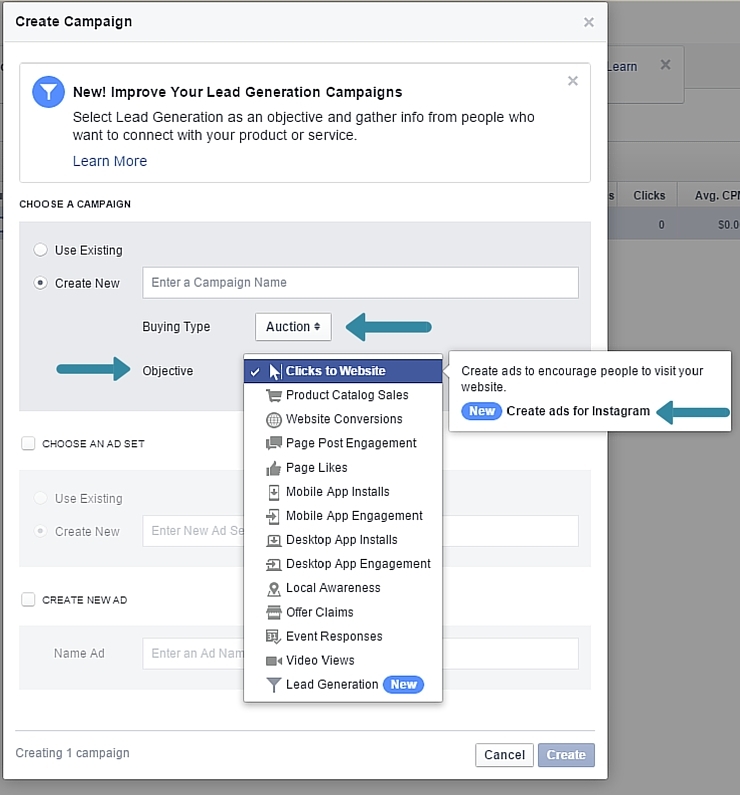 Ad Set will have all of the normal information you’ve seen before in Facebook Ads like: demographics, audiences, schedule, optimization and pricing, etc. But you’ll notice under Placement there is now a 5th option of Instagram. You can still select specific mobile devices (Android vs iOS). If you’re running an Instagram ad to drive more downloads to your new app this is a great feature because if your app is only for iOS or Android you can specify where the ad will show up here. 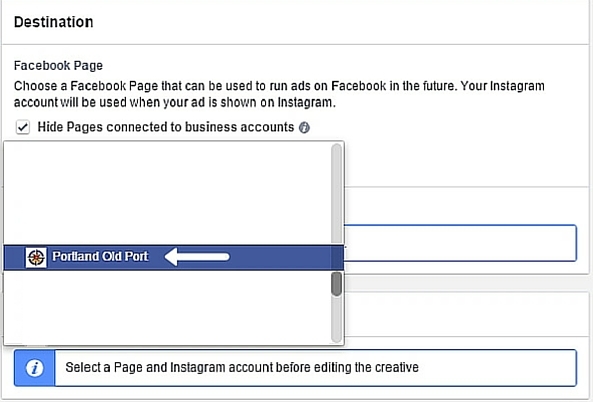 Now that you’ve set up your Ad Set go ahead and create a new Ad under the existing Ad Set. Select the Facebook Page you’ve connected your Instagram Account to (refer to beginning of blog). Now you see the Instagram Account option below. 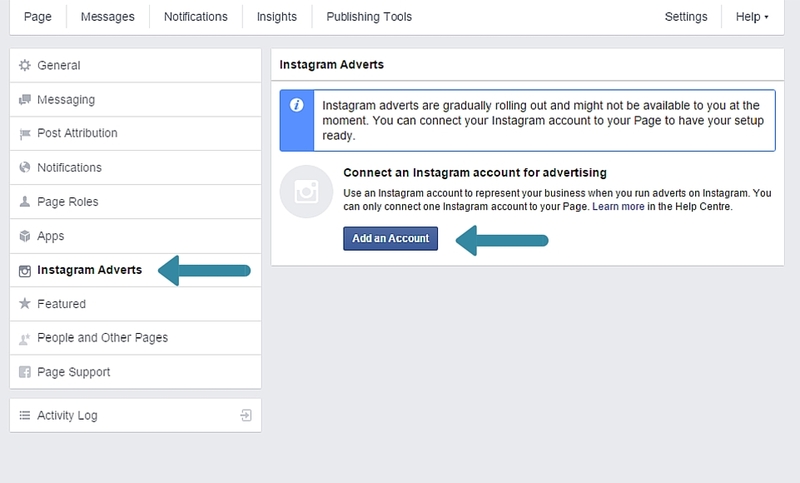 Since you’ve connected your instagram account earlier on in the blog post you can click Use the Instagram account connected to the selected Facebook Page and it will automatically select the account. You will see the preview of the ad to the right of the information now. Select the Website URL where you want to drive your audience. This can be the link to the app store & Google Play or a website link. That’s where your audience will land when they click on the action button. Next is the text that will be used as the descriptor to your ad. I would suggest making your photo the max size so it really looks good. Power Editor will now tell you if the image is more than 20% text almost right away. If you want to see how much text your ad photo has, use Facebook’s Grid Tool. Also, try to use the highest quality video so that it will display crisp and drive more people to your call to action button. Once you’ve done the work for your image or video, select what you want the call to action button to say. Where Is The Carousel Option? Great question. I don’t know, yet. Instagram has been teasing us with the ability to do carousel ads for almost six months now. It may be gradually rolling out as well so keep your eyes peeled for that option to open up soon.